The splash screen at Blizzard has changed ever so slightly. The crack in the centre has become larger so more light now pours through but more interestingly, from our point of view, another rune has appeared. 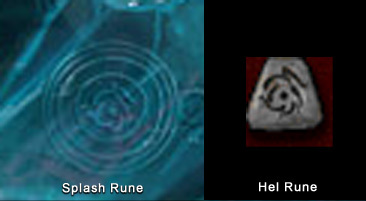 This time it is a Hel Rune which you can clearly see in the image below. Here is a list of Runes if you’d like to compare this and any future embellishments.